Every spring and fall, the team at the Pantone Color Institute — the global authority on color and provider of color standards for the design industries — examines which colors were repeatedly seen within designers’ collections during New York Fashion Week. 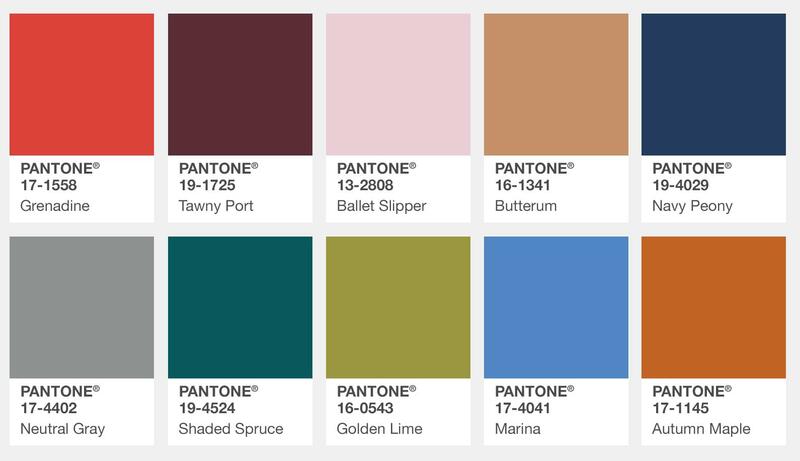 As we sit on the brink of fall, we thought we’d revisit several of the hues that Pantone predicted to be huge by the time the end of 2017 rolls around. Among them are Butterrum, Grenadine, Shaded Spruce, Neutral Grey, and Lapis Blue. And you guessed it — we paired one of our very own rugs with each below. Visit the full Fall 2017 color report.